I have been busy this past week spending time with friends, making visits to my mall spaces and getting ready for the holidays. 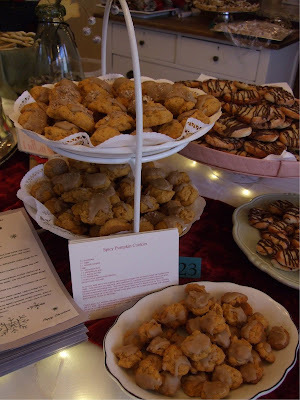 Last Sunday was the Christmas Cookie Exchange Party at Laurie's house. This was my first year and let me tell you, these ladies were no amateur cookie makers. Isabel made her yummy Palmiers with chocolate drizzle this time. Yum! Sweet Natalie made her awesome Coconut Lime Bars which won the Barn House Flea Market Cookie Competition last year, so it was no surprise that they won again as best, non-chocolate cookie. Overall, it was a really fun time and I met some amazingly talented women including this gal. Have you checked out her blog yet? She is a fabulous photographer and such a fun person. After the grand tour, Paul and I drove up to see Stephanie in Camas. She was recently married and it has been years since we last got together. I even got to meet her adorable 5 year old daughter, Sydney. Here are Stephanie and Paul. It was hard to get a picture of Syndey as she got a little tired and grumpy as the evening wore on. 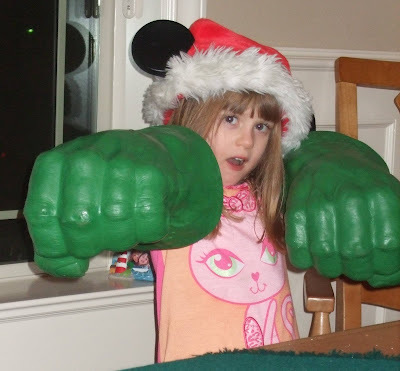 But she did entertain us with her Hulk hands. We had a great dinner and visit and made tentative plans to have a pizza party with all of our families at "the mansion" in January. On Wednesday I was lucky enough to be invited to the adorable Sheila's house to craft. Remember Sheila from this recent post? Isabel, Joy and another sweet lady named Jan also came to work on soldered houses. Here's a picture of the one I made already hanging on my Christmas tree. It was fun to do both sides so I can turn it over if I want. Almost like having two ornaments in one. 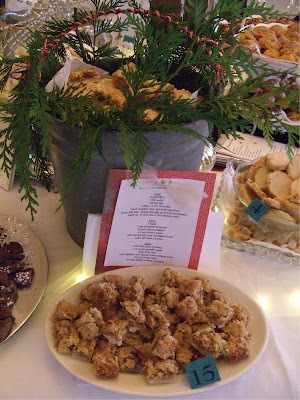 Spread glaze over cookies and sprinkle with chopped nuts, if desired. Makes 42-48 cookies. Yum, sounds like a good recipe. 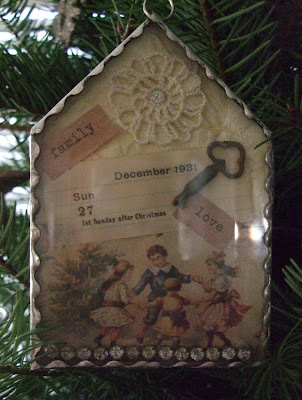 You did a great job on that ornament Lisa, love it! 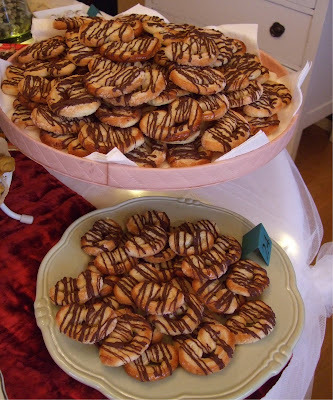 Such Yummy looking cookies.. what fun to be at a cookie party... and your house's are so pretty... and to tour a gorgeous home to boot,,, have a great weekend..
Oh, Lisa, your soldered house ornament is SO beautiful. I absolutely LOVE it! Thanks for coming, Lisa!! It was so much fun! your soldered house is gorgeous!!! i love how you layered all of the laces on the one side, that looks so pretty!!! thanks for the recipe, those cookies sound so yummy!!! 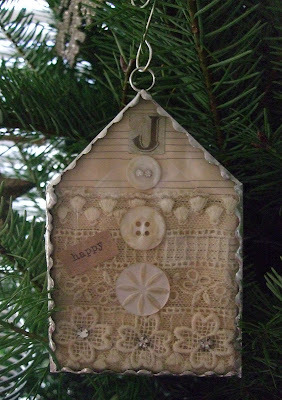 Love how your ornament turned out! Thanks for the yummy recipe!